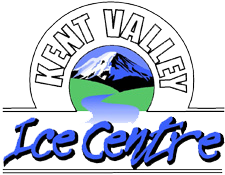 Despite its wintery name, the Kent Valley Ice Centre is open all year-round and whether you are brand-new or highly experienced we welcome skaters of all ages and abilities to join us for our public skate sessions. Our staff makes sure you have everything you need to get out on the ice and get moving. Please see our interactive public session schedule below or call us at (253) 850-2400. Public session schedule is subject to change, so please check back regularly. Remember, Kent Valley Ice Centre has special holiday skate sessions whenever the kids are out of school (Kent School District). We recommend dressing in warm layers that you can easily move in and bring gloves to keep your fingers warm and protected. Helmets are available for rental (limited sizes available). We also carry rental skates in sizes ranging from 6 (toddler) to 14 (adult). Also available: hockey rental skates sizes ranging from 11 youth to 12 adult. Celebrate your next event at our ice rink. We can accommodate groups up to 500, offering discounted rates depending on the number of people you expect to attend. You can also book a private room for your party for an additional $75.00 (per 2hr increments).